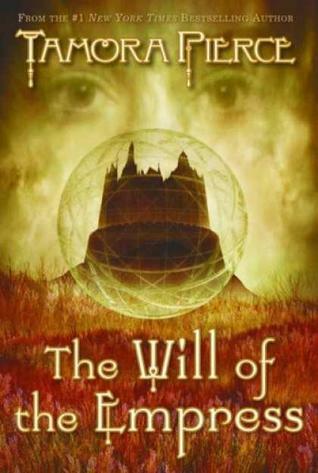 The Will of the Empress is the final (as of right now) book set in Tamora Pierce's fictional world of Emelan. Sandry, Briar, Daja and Tris have been on separate journeys for years now, and the novel opens with their reunion... which isn't so grand, as there's a distance between them that didn't exist before. The four have to put their differences aside, as Sandry is called back to Namorn to visit her family estate and make nice with her cousin, the Empress of Namorn, and the other three accompany her as her friends and extra protection. Upon their arrival, they discover that not Empress Berenene is determined to get them to stay in Namorn in any way she can. Now, prior to last year's reread, I had only ever read this book once years ago and barely recall what happens, so reading it felt so fresh. This story was all about Namornese court intrigue and the navigation of a complicated political landscape; it was also about friendships, and how growing up can result in having to relearn the tenets of a relationship especially after being apart. Tamora truly managed to weave these plot elements together, as well as allowing us to hang out with the quartet that we've really got to know and love. I genuinely adored The Will of the Empress, and feel very strongly that it's a solid ending to a series of books that I really love. Indiana Jones meets Lara Croft, in space. That was the initial comp I heard for Unearthed, so as you can imagine, I went into it expecting high stakes adventure, generously depicted action scenes and clever puzzle solving. While we eventually get all of those things, only a third of this story is dedicated to it. The other thirds are dedicated to, first, laying out the foundation of the world and setting, and second, the character and relationship development. Now, as someone who is interested in science fiction on the lighter side and who is big on exploring characters, I had no problem with this even with my expectations. So, just as a disclaimer, this novel is a bit of a slow burn and it focuses heavily on getting to know the two characters and the world they live in. It took a while for me to warm up to the story, to tell you the truth. But when I was eventually hooked on the story, I enjoyed it! It basically felt like I was reading the perfect set-up for a science fiction film or video game, and after that ending, I'm definitely going to need to pick up the second to find out how everything is resolved. If there is one very important fact that you probably already know about me (especially if you've been following my blog for a while), it's that I love fairytales. I have very fond memories of fairytales being read to me as a child, as well as discovering this compilation of Grimms' Fairytales in my family's collection that I devoured over and over as a teen. Anyway, the reason I mention it is because The Hazel Wood is a YA novel (out next week!) that incorporates classic fairytale tropes in a way that's different from anything I've ever read before! It's about Alice and how her life changes completely when two things happen: first, her elusive grandmother, author of a cult classic collection of fairytales, passes away and second, her mother is kidnapped and taken to the Hinterlands, the land in said fairytale collection. Alice is determined to get her mother back and so decides to venture into this magical place and do whatever she has to to make this happen. Now, I loved a lot of things about The Hazel Wood. It's incredibly atmospheric, dark and magical and lush. It's compelling, as I couldn't stop reading it whenever I picked my copy up, and I finished it within a day. It's different from what I expected and that was actually a good surprise, especially in the case of how the fairytale tropes were utilized. I really liked it! But the one reason I couldn't give it a full five stars is because I just didn't feel connect with the characters, which is something I personally look for in all my reads. 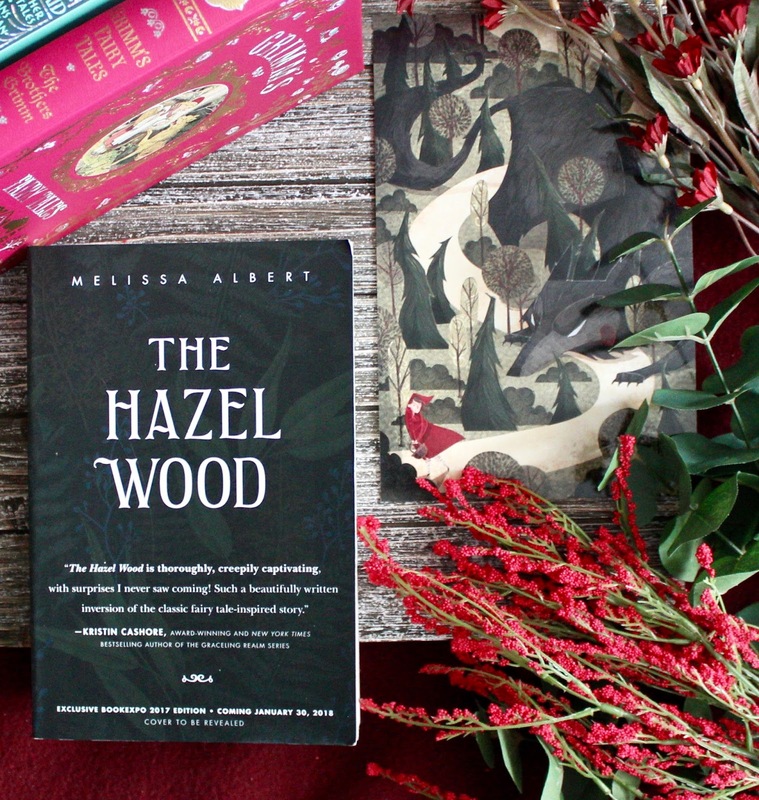 Still, The Hazel Wood is a well-written YA fantasy that I would recommend checking out!